From 1990-2005 Mr. Kenneth L. Boyda was involved in building one of the security industry’s leading global technology and manufacturing businesses. He served as President and Chief Executive Officer of GE Security, Inc., a global company focusing on communication technologies and information services for security, safety, and lifestyle enhancement needs of consumers, businesses and governments. GE Security was organized into a wholly owned subsidiary of General Electric Company as part of a merger agreement that was completed in February 2002. Mr. Boyda was appointed Vice President of General Electric Company in December 2003 and served as an Officer of the Corporation until retiring from GE in 2005. Prior to the merger, the company operated as Interlogix, Inc, a public company (NASDAQ), formed in May 2000 through the merger of SLC Technologies, Inc. and ITI Technologies, Inc, two technology and manufacturing leaders in the electronic security industry. Mr.Boyda served as President, CEO, and Director of Interlogix, Inc. Prior to the merger between SLC and ITI, Mr.Boyda was President and Chief Executive Officer of SLC Technologies. Mr. Boyda joined Sentrol, Inc., a predecessor of SLC, as President and CEO in 1990. Previously, Mr. Kenneth Boyda spent fourteen years at Colortran, Inc. in a variety of senior executive positions, lastly as President and CEO of Colortran’s U.S. Lighting Group, an international leader in the manufacture and supply of sophisticated lighting and electronic dimming and control products for application in professional television, theatre, and architectural lighting systems. Mr. Boyda’s early professional experience included positions at American Can Company, CCMP Management Consultants, and Gladding Corporation. Mr. Kenneth Boyda has extensive international experience, having been involved in and negotiated major contracts in more than forty countries throughout Europe, Asia and Latin America. At LIFARS, Mr. Kenneth Boyda advises on ransomware attacks, incident response matters, business impact of the data breach, and how to address board, CEO and executives. Mr. Kenneth Boyda received an A.B. degree in Government from Harvard College and an MBA from the Harvard Graduate School of Business. Currently, Mr. Kenneth Boyda is the Managing Director of KLB Associates LLC, a consulting firm providing strategic management services for the security industry, and has served on the Boards of several technology/service companies in the security and safety industry including Vidsys Inc, VideoIQ Inc (acquired by Avigilon Jan—2014), Tri-ed Distribution (acquired by Anixter in Sept-2014), and Ahura Scientific, Inc until its acquisition by Thermo Fisher Scientific, Inc in 2010. Mr. Kenneth Boyda joined the Board of Directors of Viewpoint CS in 2010, an Oregon based company providing software—development and management systems for the construction industry, and served on the board until it’s acquisition by Bain Capital in April 2014. In November 2014 he joined the Board of Razberi Technologies, an early stage technology company offering state—of—the-art network Video solutions for the rapidly expanding IP Video segment of the electronic security industry, and serves as Non-Executive Chairman. 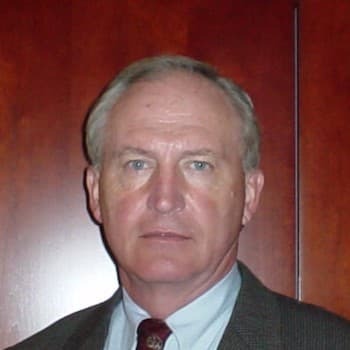 Mr. Kenneth Boyda has served as a Director of the Security Industry Association, and in 2006 was inducted into the SSI sponsored Security Industry Hall of Fame, a lifetime achievement award that recognizes those individuals whose distinguished careers have helped shape the electronic security industry.